Hi there, I painted this recently from a reference photo I took in the park behind where I live. I loved the shot the moment I took it, such great lighting. This is oil on a 8" x 10" stretched canvas. 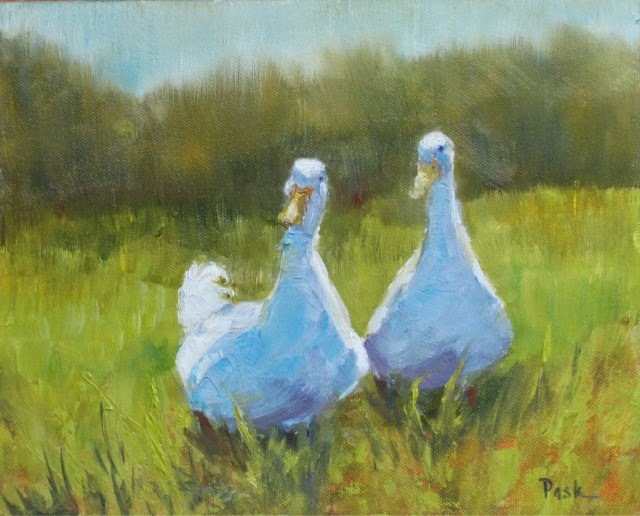 Perfect blues in the geese and wonderful light on them as well as in the grass! Oh thank you so much Meredith, so nice to see you.